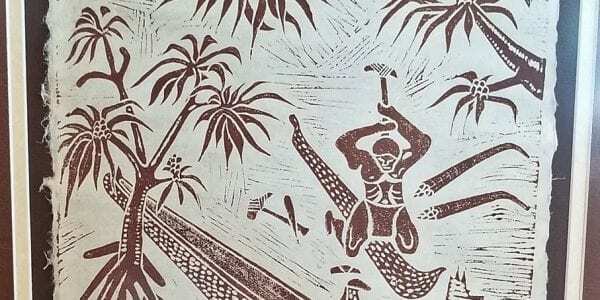 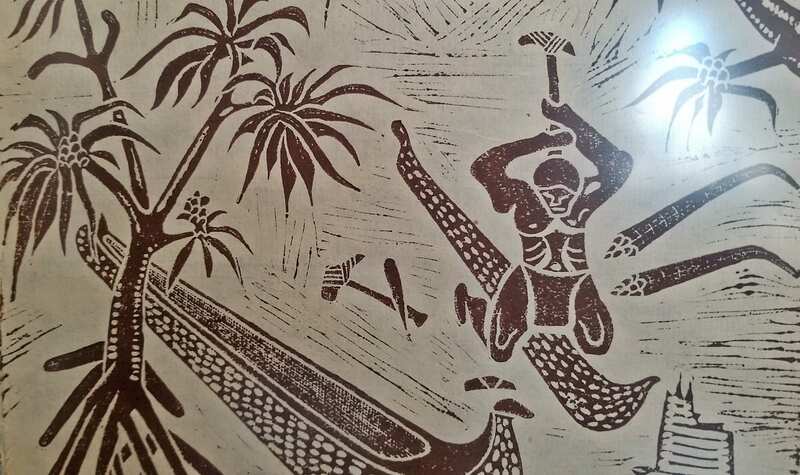 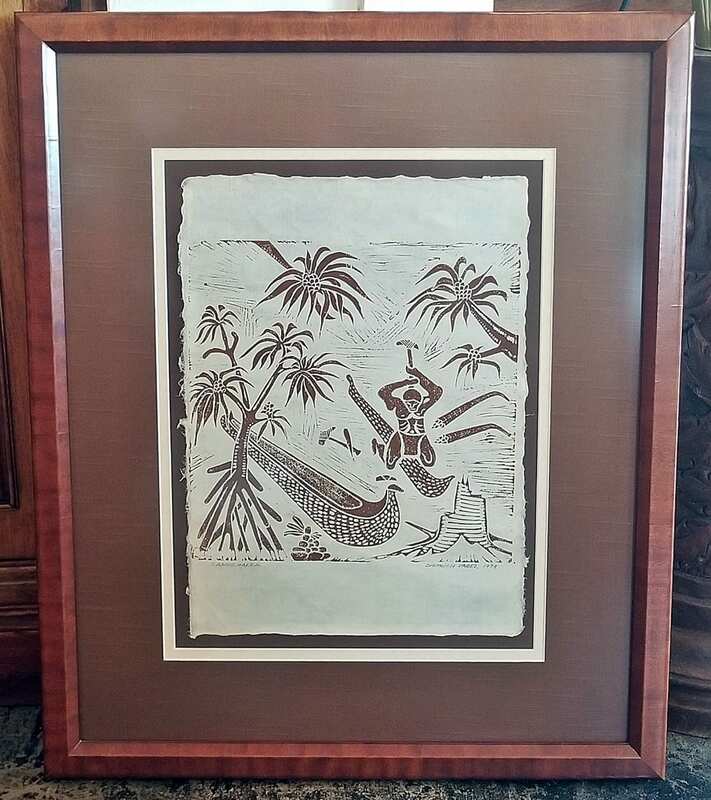 1979 Medium Hawaiian Wood Block Print by Dietrich Varez. 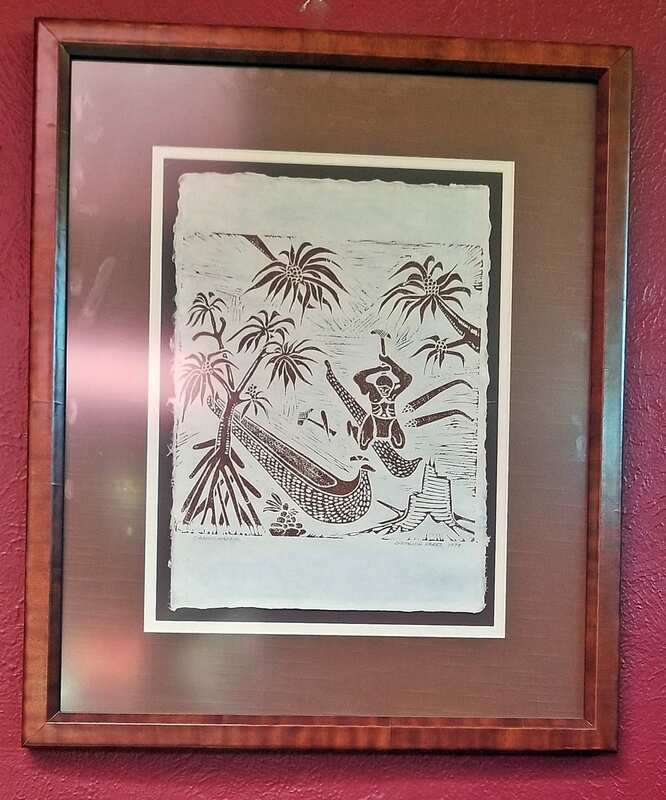 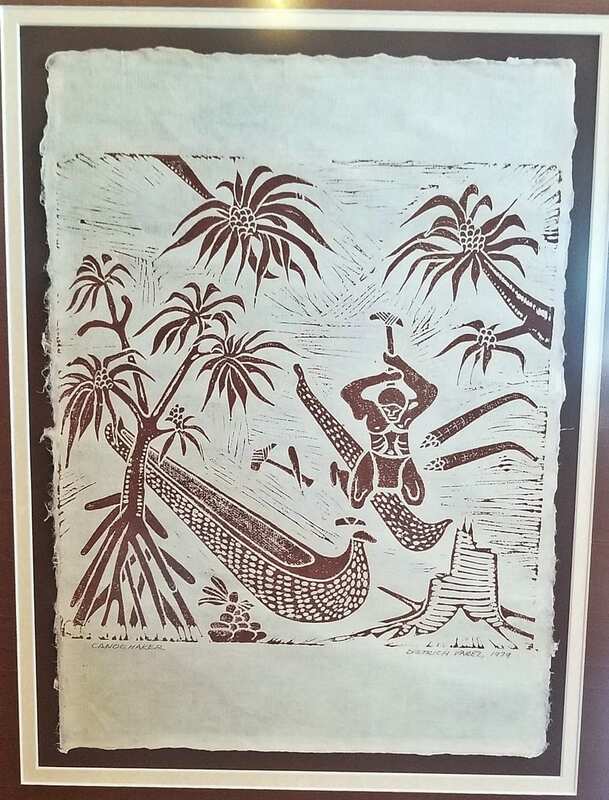 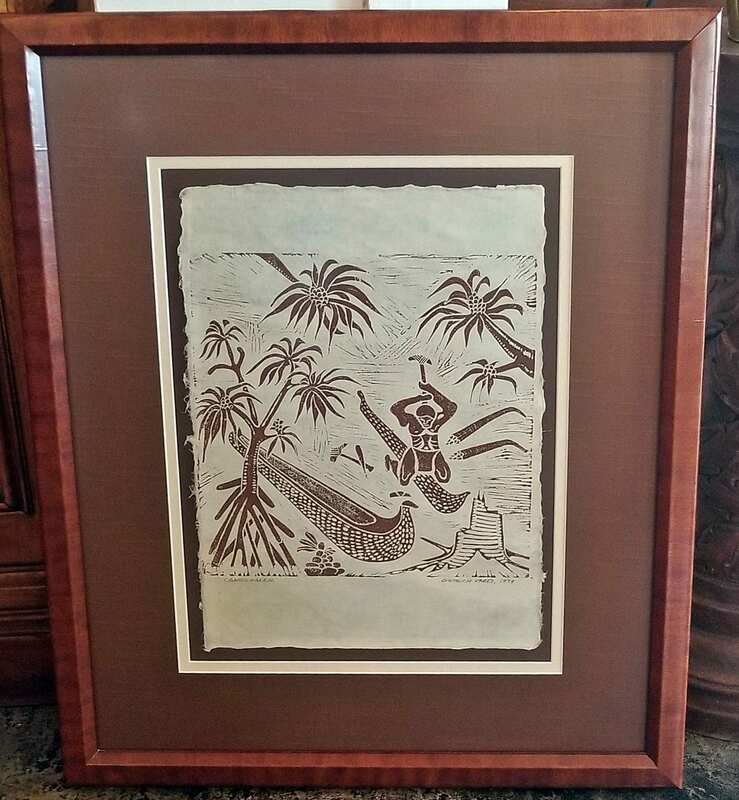 PRESENTING a Lovely medium sized Wood Block Print, by well known American/Hawaiian Artist, Dietrich Varez, in beautiful original wood frame, from 1979. 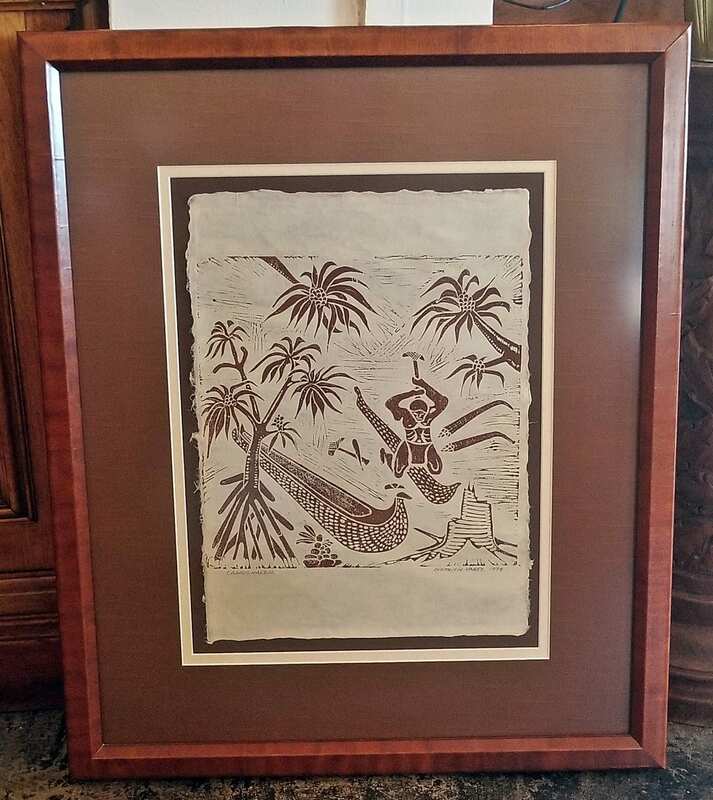 HIGHLY COLLECTIBLE, excellent piece of decorative Hawaiian art!